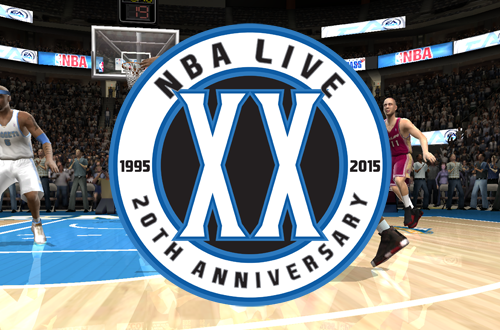 Next up in our 20th Anniversary of NBA Live content, it's a retrospective of NBA Live 2005! NBA Live 2005 is considered by many long-time basketball gamers to be the best game in the NBA Live series, or at the very least, somewhere in the top five. Personally, I'd fall into the latter category. It was a great game in its time and definitely a high point in the series, but it has a few issues that are glossed over a little. It's still capable of providing a fun sim-oriented experience however, and is obviously significant as the first game in the series to feature All-Star Weekend mode. Let's take a look back at the second game in a trilogy of strong releases for NBA Live. I'm inclined to agree, but I'll get to that in my 06 retrospective. As someone who plays franchise modes 90% of the time, the biggest addition for me in Live 2005 was by far the Sim Intervention option. Accommodates both my short attention span and desire for realistic scores. Plus it allowed you to play without having to play the whole game. Was that version where they'd notify you if someone was close to a triple double or something? Damn, I completely forgot to talk about Sim Intervention. I'll have to make mention of it in my 06 retrospective, and note that it was introduced in 2005. Thanks for the heads up on that one! It was a cool feature. I was impressed when I played the game first, back in 2005. 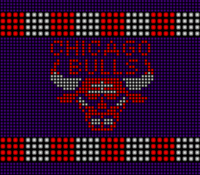 This game was also my first ever basketball game, when I was 8 years old. I remember that I tried to bring up Kings '96 split alternate by dragging the picture of a Mitch Richmond jersey to the execution file. LMAO. That's how I got interested in modding. That reminds me of when I first tried to edit NBA Jam TE on PC all those years ago, by renaming Ron Harper's file from HARPER to JORDAN. Didn't work, but strangely didn't crash the game, either.